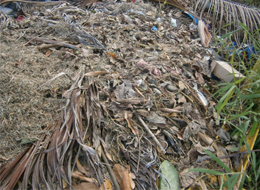 Organic materials are stored at the dockyard area such as grass, leaves, trimmed branches of trees are composted into a soil-like substances. 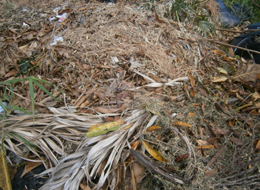 Composting is an activity that recycle organic materials, to reduce trash disposal and to reuse again the area that constitute to the conservation of natural resources. The “backyard” composting is an easy and economical way for individuals to convert their organic waste into a soil amendment that they can reuse to landscaping, enhance plant growth, enrich topsoil and provide benefits to plants and soil.